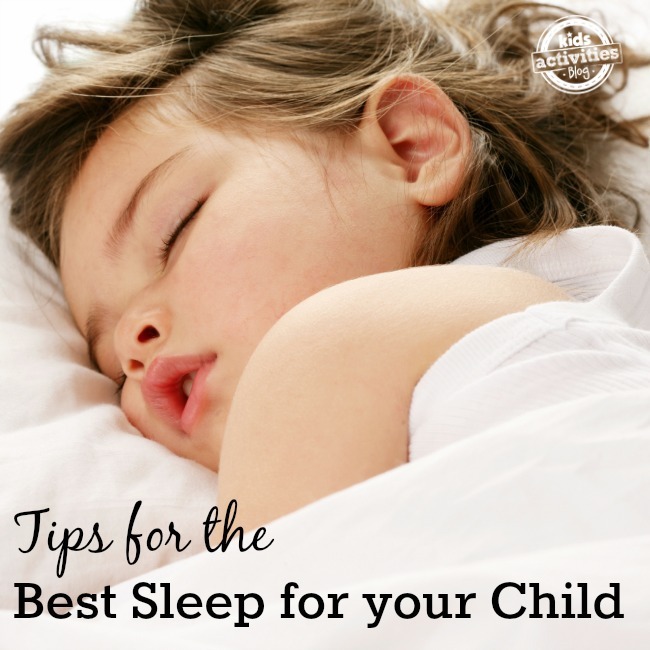 I know that it can be hard to get the best sleep for kids because of all of the little things that come up: afraid of the dark, thirsty, wanting to lay with you, colds, ear infections, too hot, too cold, not tired, too tired… the list goes on and on. Let’s take a quick look at each stage of their young lives and try to break the bad habits and replace them with great sleep habits that can last a lifetime. Sleep is so important for your children and their development. Start them off with a great bedtime routine. This is so important! When our kids were just babies, we would give them a warm bath every night. We would then get them into their pajamas in their room, sit in the rocking chair and read “Baby Mickey’s Blanket” every night! They loved it! I made the mistake of nursing our babies to sleep. Learn from me, please! I nursed our first three babies to sleep and it was so hard because when they wake up, they only want you. Some of our babies woke up every 2-3 hours and my husband could never help, because they needed to nurse to go back to sleep. I later learned to stick to the E.A.S.Y. plan (EAT, ACTIVITY, SLEEP, YOU TIME). This just means that after they eat, you do a little activity (change their diaper, sing a song, read a book, talk to them for a couple of minutes) before putting them to bed and taking some time for YOU. It just keeps you from starting that “eat to fall asleep” pattern. You can always wean them off of that bedtime nursing or move the time up to a bit before they go to bed. Next, you can work on helping them to sleep through the night. I loved our swaddle blanket, too (we used the Miracle Blanket), and would not have had good sleepers without one! 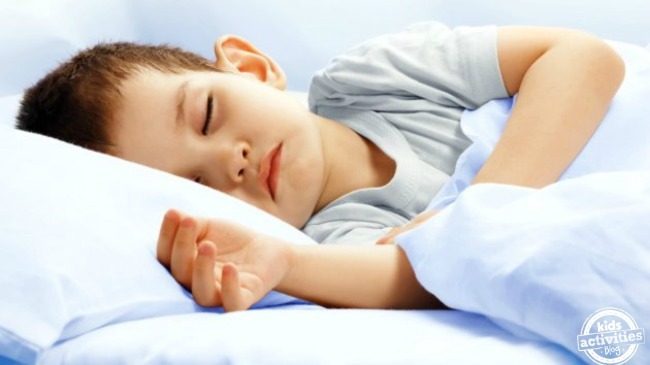 Be sure to try these tips to keep their diaper from leaking at night, too, because a leaking diaper leading to wet pajamas and sheets will wake them and they will not be happy about it. Continue this routine right through the toddler years. This is when they will start to wake up in the middle of the night, but this little tip from our pediatrician solved that for us! It stopped MOST of the night wakings! This was also the age when we had to start leaving their door open, or at least cracked, at night. I’m not sure if they were scared of the dark or just wanted to hear what was going on, but they all slept better with their doors open (we always closed them when we went to bed, to cut the risk of their siblings waking them in the morning.) I also found that when our kids were ready to move to big-kid beds, they started waking more often. If your toddler is coming out of his or her bed, I have to suggest the Super-Nanny Method. Yes, it is exhausting for those few days, but it works. Honestly. They also need to have taken adequate naps during the day, because sleep begets sleep (if they are overtired, they will not sleep well). At least give them some quiet time, if they aren’t going to sleep, and bump up their bedtime that night. Again, keep up the routine, maybe adding one of these bedtime stories. You may find that they are over-tired at night if they have given up their naps, so from the time that our kids were sleeping through the night, I started putting them to bed by 7:00. If you don’t feel like they will fall asleep quickly, you could let them lay in their bed with a glowing sensory bottle, to calm them before bed. Thank you for reading and sharing. I hope that this gave you some valuable information on creating good sleep habits.